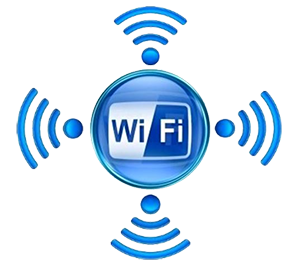 If your organization has chosen to offer Wifi access to your guests, you are providing them with a valuable service. But you need to make your public Wifi safe – to keep both your organization and your guests out of trouble. Zscaler provides carrier-grade, totally automated, highly cost-effective and easy-to-administer security and compliance for public Wifi hotspots. Offering open public Wifi access – whether to your visitors, customers, volunteers or employees – is increasingly an expected part of running your business. Providing guest Wifi is particularly common in retail, financial services, travel and hospitality organizations, in local government offices and in sporting venues and educational institutions. So why is it important to include a layer of security and compliance on top of your guest Wifi access? Most important is to prevent your guests from accessing parts of the Internet that are in conflict with your organizational policy or ethics. No one wants the guest Wifi connection to be used to view pornographic or other inappropriate content – which can be offensive to your other visitors. Many industries have additional regulatory requirements. For example, educational institutions in the United States need to be careful to comply with the Child Internet Protection Act, or CIPA. Financial Institutions and Healthcare providers must protect customer and patient information. It is also important to protect your organization from liability – you don’t want your visitors downloading copyrighted movies from your Internet connection, exposing your organization to infringement claims. You should also be concerned about data leakage. You may have locked down your corporate network, but you are likely unable to stop your employees or contractors from connecting to your guest Wifi. In a world where it only takes one or two clicks to send your intellectual property or confidential customer information out to the Internet, you may find it important to implement data leakage protection on your guest Wifi systems. And finally, you also need to provide security to your guests when they are accessing your Internet connection. You don’t want them to be infected by malware or subjected to other cyber attacks when they are using your guest Wifi. Such an infection could not only tarnish the corporate brand, but could potentially also be a Trojan that leads to an attack on your corporate network. Zscaler offers robust, fully-automated, and highly cost-effective guest Wifi security and compliance by combining the simplicity of a DNS based security service with the power of in-line scanning and the security intelligence gleaned from our global security platform. Zscaler provides real-time analytics to help you detect, block and mitigate potential liabilities and threats on your guest Wifi. All you need to do is choose your protection and compliance policies in Zscaler’s administrative console, and then configure your guest Wifi hotspots to direct your visitors to use Zscaler’s secure DNS infrastructure. That’s it. From then on, all devices that connect to your guest Wifi – including laptops, tablets, smart phones and all other Internet enabled devices will automatically have their traffic routed through and protected by Zscaler’s global Security as a Service platform. Whether you have a handful of guest Wifi hotspots or tens of thousands of global locations, Zscaler guest Wifi protection is incredibly cost-effective, reliable and fast and easy to get started.